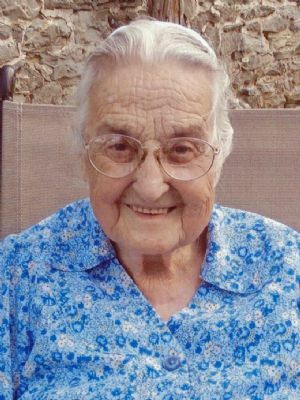 Elizabeth S. Diffenderfer, 91, of the Elizabethtown Healthcare & Rehab Center, formerly of Leola, went to be with the Lord on Sunday, January 13, 2019. Born in Earl Twp., she was the daughter of the late Jonathan and Elizabeth Martin Shirk. She was the loving wife of Melvin N. Diffenderfer. They celebrated their 71st wedding anniversary last August. A homemaker and member of New Holland Mennonite Church and its sewing circle, Mrs. Diffenderfer enjoyed quilting and volunteering for auxiliaries of several local fire companies and Tel Hai Camp; and more recently knitting hats on a loom for MCC, a mission in West Africa, and the local Water Street Rescue mission. In addition to her husband, she is survived by: seven children, Leroy married to Kathy Eddings Diffenderfer, Kannapolis, NC, E. June Diffenderfer, Lancaster, Charles married to Dotty Diffenderfer, Muncy, Barbara married to Abe Rissler, East Earl, Darrell married to Barb Groff Diffenderfer, Manheim, Elaine married to Lloyd Hoover, Leola, Eileen married to Larry Wenger, Lancaster; 20 grandchildren; 49 great-grandchildren; one sister, Frances married to Clyde Martin, Ephrata; sister-in-law, Ruth Weber Shirk, Akron; brother-in-law, Eugene Sauder, Ephrata. She was preceded in death by: one grandson, Duane Wenger; two brothers, Richard and John Shirk; two sisters, Helen Shirk and Grace Sauder. Memorial services: Friday, Jan. 18, 2019 at 7 PM at New Holland Mennonite Church, 18 Western Ave., New Holland. The family will greet friends from 5:30 – 7PM. Kindly omit flowers. Private Burial: Weaverland Mennonite Cemetery. Memorials are suggested to: MCC Material Resource Center, 517 W. Trout Run Rd., Ephrata, PA 17522.